Paying for products has gotten more and more convenient in recent years. Credit card companies began by rolling out quicker payment methods like Discover Zip and Visa payWave, services that allowed customers to simply tap their credit cards on a scanner to pay. Then, digital services like Apple Pay and Google Wallet allowed people to pay without a credit card at all, using only their smartphones. Now, a new startup is looking to move convenience one step further by making paying as easy as wearing a wristwatch. PureWrist is a startup currently looking for funding through the crowd-funding site Indiegogo. 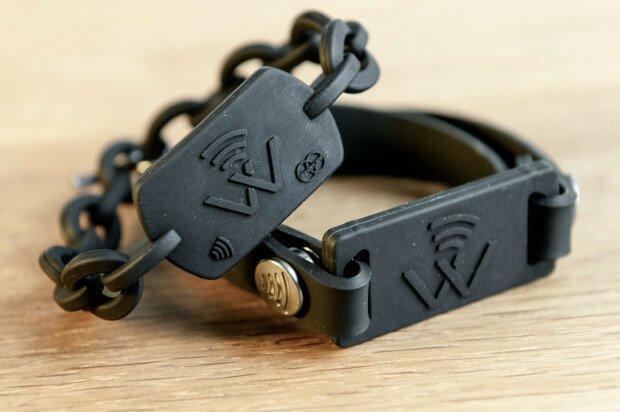 The idea is simple: PureWrist is a rubber bracelet with a small antenna inside of it that connects to a prepaid debit card. The customer can then use the bracelet the same way as Apple Pay or similar services work now: simply tap the bracelet on the scanners that are already in existence at many retail and restaurant locations. This product offers several advantages over the current contactless payment methods. First of all, PureWrist does not require a credit card to use. Users are given a prepaid debit card as part of the package when they purchase a wristband. This card can be refilled as often as necessary, and has no balance limits. The accounts are also backed by the FDIC, giving PureWrist legitimacy and keeping funds safe even if the bracelet is lost or stolen. PureWrist also offers a level of convenience that surpasses previous products that went contactless. Consumers no longer need to fumble in pockets, purses, or bags for a phone or wallet when they are in a hurry. All they need to pay is right there on their wrist. It is perfect for those in urban areas who lead an active lifestyle and are tired of lugging around extra items when they are out and about. PureWrist can save customers valuable time, something that is ever more valuable in today’s sped-up world.